Annefleur Mauritz studies at the University of Antwerp. After a long flight, I arrived at Kathmandu International Airport for my Work the World medical placement. It isn’t a big airport so I immediately found the assistant programme manager, and she took great care of me. She gave me a very warm welcome and took me to me straight to the Work the World house. On our way, she pointed out the points of interest in Kathmandu. When we arrived at the house, I was given a tour and introduced to the other students and the staff. After a well-deserved nap, I joined the other students for a delicious welcome dinner. I had a great time with the others, learning about what was in store. The next day, the team took me and the other students who had arrived on the same day, to the city centre for a guided tour. She showed us the different parts of the city and we had a very delicious traditional Nepalese lunch. It was a great chance to get to know each other. In the afternoon, we had our first language lesson, which was a lot of fun and a serious help in learning Nepalese. 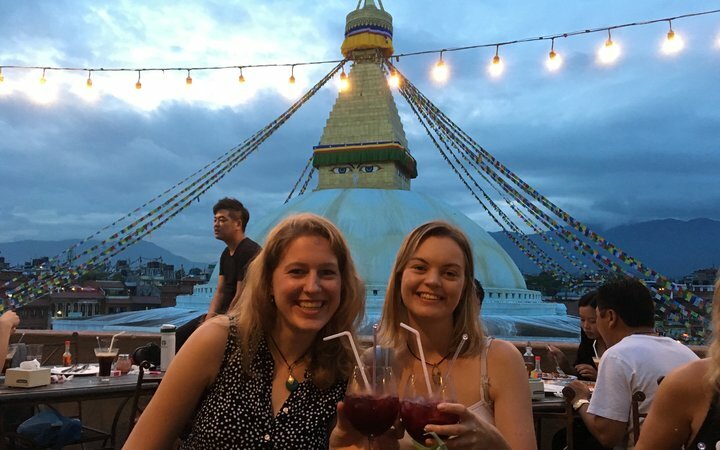 After dinner, I was more or less acclimatised, knew a bit about how everything works around the house and in Kathmandu and spoke my first words Nepalese. So, I felt ready to start my placement the next day. The next day, the programme manager took us to the hospital for our first day on placement, and we were welcomed by the Head of the Education Department. 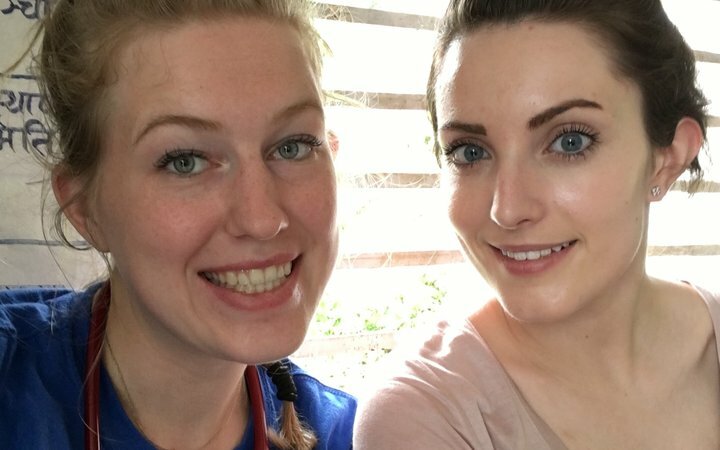 Afterwards, we started going to our departments, in my case, surgery, where we were introduced to the staff who would be looking after us during our time there. The next couple of weeks I spent my weekdays in the surgery department. 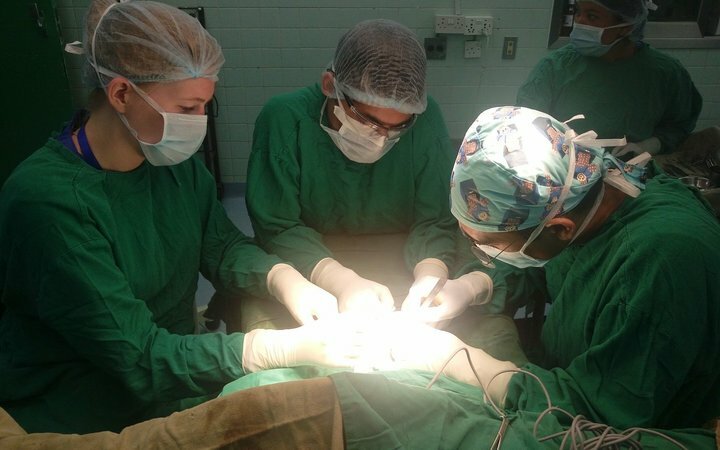 I was assigned to gastrointestinal surgery, which I choose myself, and I also spent some time in plastic surgery during the week, where I had the greatest time. The nice thing is that you’re allowed to have a look in all the operating theatres. At first, I had to get used to the fact that they don’t have the up-to-date resources we have back home. But after seeing a couple of surgeries and talking with the consultants, it was clear that they have the same level knowledge and use the same methods as elsewhere in the world. The only difference is that they don’t have the resources we have, so they sometimes have to be more creative. This was extremely interesting as it widened my view and will be very helpful in thinking outside the box while solving problems in my future career as a doctor. At weekends, I went on trips with other students from the house. It may be hard to believe, but in such a short time, you become so close to them. 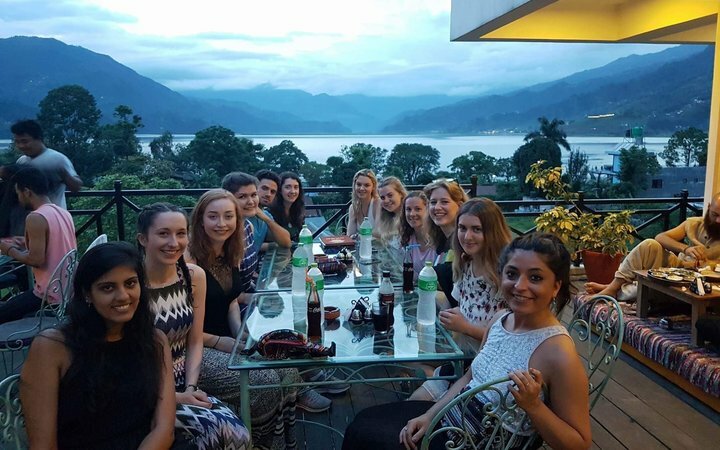 We gave each other a lot of suggestions about what to do around Kathmandu and my favourite weekend was the one we went to Pokhara. 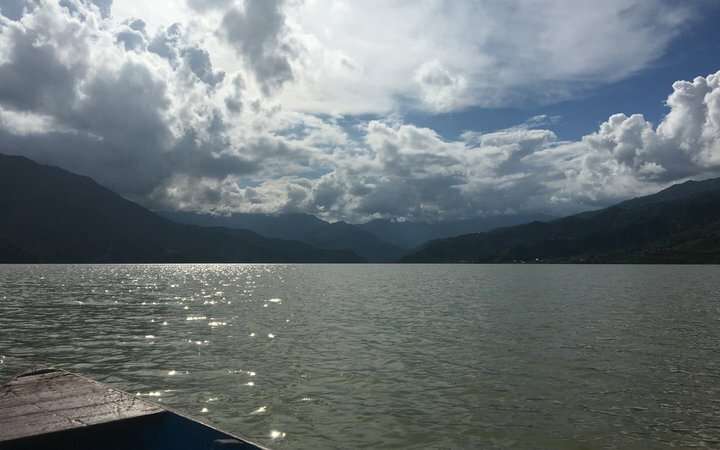 This is a very beautiful city with a huge lake, a one hour flight from Kathmandu. It was overwhelming beautiful and we had a great hotel near the lake and we did awesome stuff like paragliding and rowing on the lake. However, the highlight of my time in Nepal was the Village Healthcare Experience. During my last week, I stayed in a very small village in the foothills of the Himalayas, together with 3 other students. Sunday morning, the Work the World guide picked us up from our house in Kathmandu and travelled with us to this small village. It was a four-hour bus journey across Nepal and the last part involved taking a jeep up the mountain to the remote village. Normally, if the weather is good, you are able to hike up the mountain. To get to the village, you have to go through a couple of waterfalls. I got quite nervous every time we went through one, but there was nothing to worry about, thanks to the experienced driver! In the mornings, we helped out in a local healthcare clinic, and in the afternoon, we immersed ourselves in cultural activities in the village. There is one healthcare worker at the local clinic and we assisted him doing a clinical examination and doing stuff like wound care. It was a good opportunity to put my skills into practice. Moreover, it was a good chance to see other kinds of pathologies than what I had seen in Kathmandu and to learn how they solve these. The people have another perspective against medications like antibiotics, so you will notice the prescribing policy is totally different there. The discussions we had about it with the healthcare worker were very interesting and taught us more about the local culture. We asssisted in diagnosing a woman with TB and advised her to go to the hospital in Kathmandu to make an X-ray of her lungs. The doctor said that he didn’t expect her to go because it costs a lot of time and money to travel to the capital and that she might not be able to afford it. The Nepalese government provide free medication for people in small villages, so in the end, we were able to at least prescribe and give her TB medication, but it was sad to see that she couldn’t afford to go to the hospital. The community we stayed in were fantastic and took good care of us, and we were accompanied by the Work the World guide for the week. 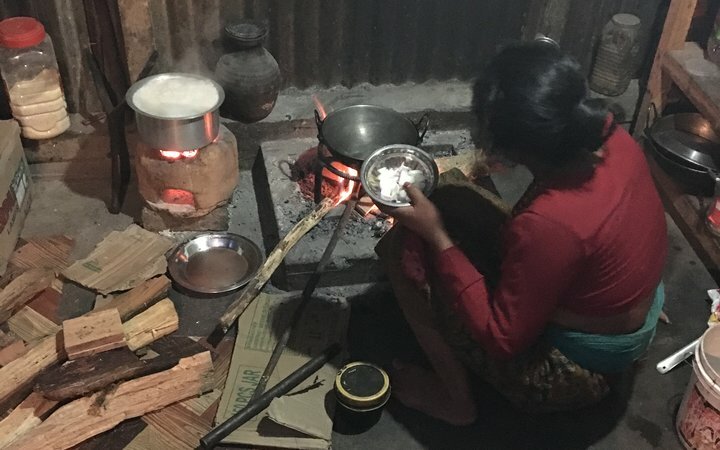 The food was great and one of the activities was that the mother of the host family taught us how to cook the traditional Nepalese dish, Dal Bhat. One of her sons taught us how to play a traditional Nepalese games which we ended up playing for the entire afternoon. The people in the village have small houses, not much money and most of them never leave the village. They have no idea what the rest of the world looks like, but are very curious and so friendly. They will welcome you with open arms. They don’t speak English so the guide was with us all the time and translated everything for us during our trip. It was extremely special to be part of such a traditional society for a week. My trip to Kathmandu was an amazing experience. I developed as a person and as a future doctor learned from all the differences, where they come from and what they’re influenced by. It helped me to be able to be more flexible and creative in the future when dealing with different cultures and solving complex situations and I made some really good friends, who I already miss a lot.